What Does John 6:29 Mean? Whenever we think of the word, 'work' - it brings to the mind some activity that we have to DO. As good Christians we want to work for the Lord and indeed we are called to do His work. We desire to be good and faithful servants - workmen who will not be ashamed when we stand before Him - indeed the Bible tells us that we are His workmanship, who have been created in Christ Jesus to do good works, which God has already prepared for us. And yet Jesus presents a very different perspective of work when the crowd asked, what must we do to work the works of God. 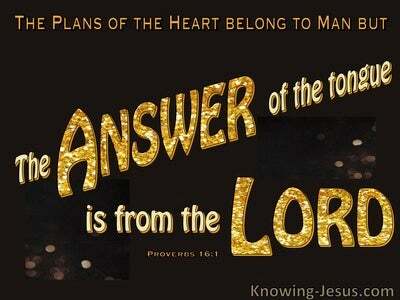 BELIEVE ON ME, was His straight-to-the-point answer, believe on Him Whom He has sent. As an unbeliever we believe on Christ as our sin-substitute, who died to pay the price for our sins. 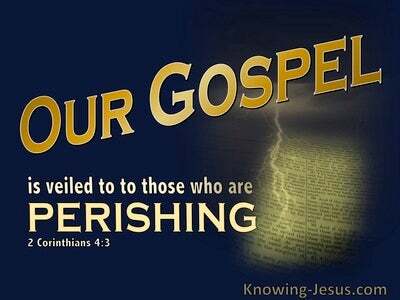 As believers we have to continue to believe on Christ. We are to have faith in Him. We are to trust the written Word of God - to trust the Word of God made flesh. 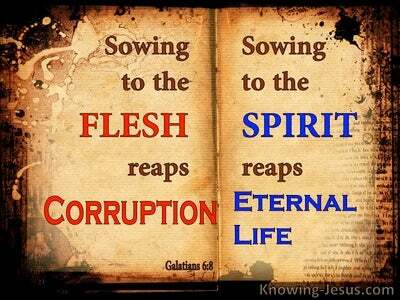 As believers we have the life of Christ within us and the good works that God has prepared for us to do, are to be accomplished in our new Christ-life and through the power of the Holy Spirit. The works God has prepared for us to do cannot be achieved through the power we exert from our old self-life. 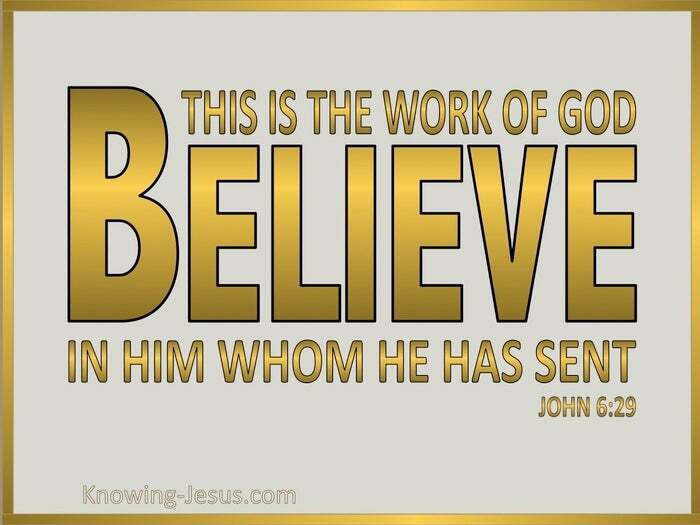 As believers we have to trust HIM to work the works of God in us - to believe that God will accomplish His works in us - so that HE gets the praise for the works that we do and not us. 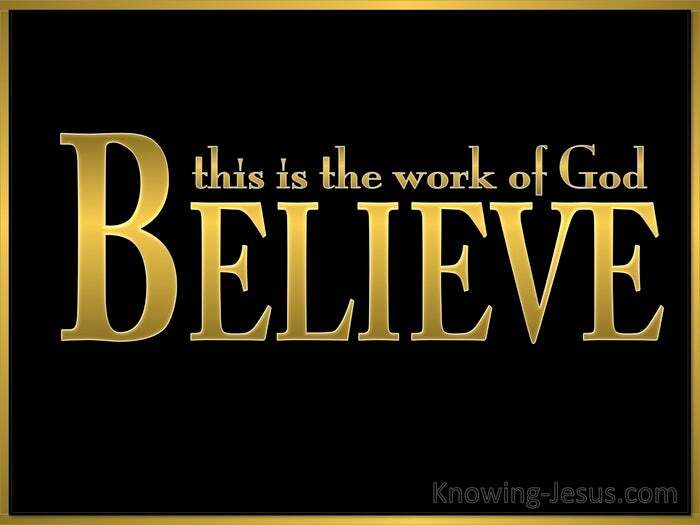 We must not only believe in Him Whom God has sent for Salvation but we have also to believe in Him Whom God has sent day by day, to do His good works, in us. 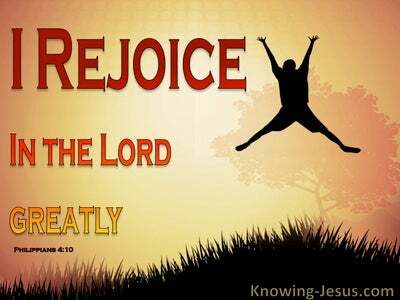 Lord I have trusted You as my Saviour, help me to continue trusting You for every step that I take in my life. Help me to believe in Him Who the Father sent, for it is only through the power of Your Spirit that I can do the works that God has prepared for me to do - in Jesus name I pray, AMEN.